For those of you who have been patiently ( or maybe not so patiently!) waiting for the Farm Girl sew along to start, I have not forgotten about you! But I needed to get my Christmas ornament out the door first ( deadline, you know 😉 ) and now I am all ready to jump in. Okay, I have already showed you the fabrics I have chosen for my project: These are by Lori Holt, and Fat Quarter Shop has lots of varieties of fat quarter bundles, in case you are interested: Click here to see their offerings. But you can of course use your stash! Seeing as no one seemed to have a strong opinion one way or another on what part of the pattern we should start with, I made an executive decision: We are going to start with the 6 inch extra blocks. The instructions for these are in the Farm Girl Vintage book and you can choose whichever blocks you prefer. One thing: The pieces in the 6 inch blocks get awfully tiny, so if you are a little worried about your precision piecing ( you are not alone, btw! ), you might want to choose blocks with fewer pieces. Those will be easier to work with. And I highly recommend that you check every section and trim it, before moving onto the sewing of the next piece. And press your seams open. Man, I am being really bossy, aren’t I?! But I know from experience the issues I have had, and I really think these tips will make it easier for you! Okay, back to what you need to do: You need to make 5 blocks all together, 4 for the left hand side border, and one for by the farmgirl’s feet. I think that a pictorial animal block will look best there, because it will seem that she has an animal at her feet, but it’s your quilt and you should use what you want 😉 . Isn’t it so sweet? I am obviously a BIG gingham fan! I didn’t even realize it until the block was all done that all my fabrics were gingham…You can see that I already have batting behind this block. I prefer to embroider through the block and batting and I will just use the Quilt As You Go method so all my blocks will have batting before I sew my quilt together ( read more about that method in this tutorial: Farmhouse Quilts Quilt As You Go sew along). The baby chick was super easy and fast to put together. I used my Alphabitties to keep all my pieces straight and then got right to work. One thing that is helpful when you are sewing small pieces, and especially when those start on a diagonal, is to start on a scrap piece of fabric so that your fabric does not get pulled into your throat plate. So every time I have to start on a corner, I will sew on my scrap first and then continue with my actual piecing. I also find it helpful to use starch AND to place a ruler or something heavy on my finished piece to encourage it to lie flat. The Maple Leaf…this one was really super simple and very fast. I decided to stay with one color family rather than go all scrappy like Lori’s example. I also made the Spools block. Then I pinned and sewed them together and did some major squaring up. The block is far from perfect, but we have already established that I don’t worry about perfection, right?! Okay, those are all the blocks I made this week….2 more to go and I am hoping to work on those this weekend ( It is supposed to be very chilly here this weekend…and yesterday we had the A/C on!! Crazy weather!). I hope that you have gotten a start on your blocks and if not, I hope you get a chance to work on some this weekend too. Please share your progress in the facebook group that I have organized just for blog subscribers. You can find that group by clicking here: Farmhouse Quilts and Friends. This will be a small, private group where you can share your photos of your projects, ask questions, and get to know other members. 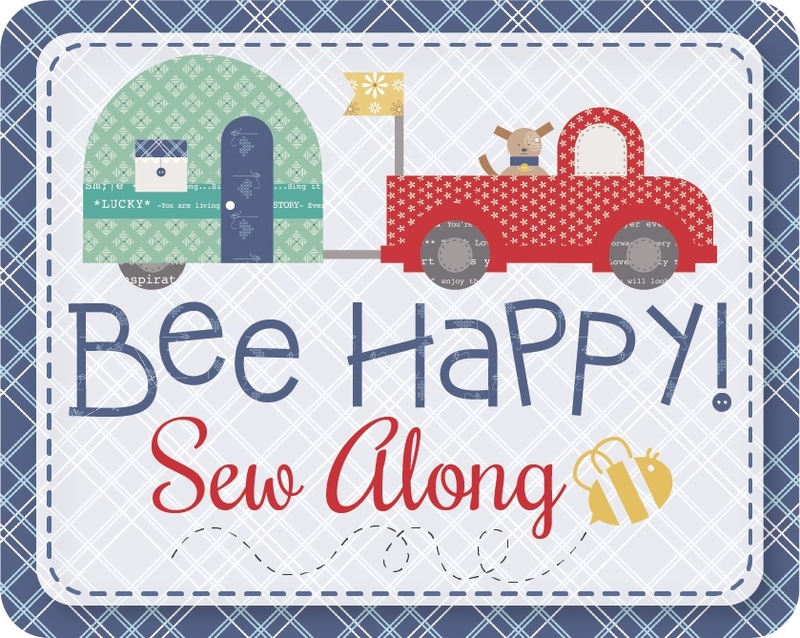 This group is for all of you, not just for those working on the Happy Farm Girl quilt. 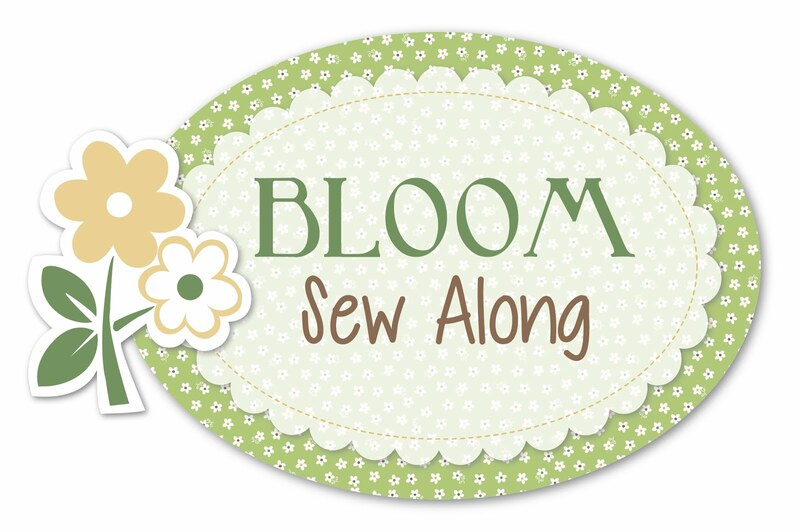 I will share tips and tutorials and patterns from around the web ( so very much like my old FB group, but on a much smaller scale!) I hope to see you there! Okay, I’m off to do some sewing.